The 2005 model year is also unique in that it is part of the four year run of unlimited TJs known as the LJ which is not only rare but considered by some off road enthusiasts to be the ideal stock Wrangler starting point for a custom 4X4 build. This website features and highlights many of the 2005 Jeep Wranglers for sale on Craigslist, eBay Motors and other classifieds sites across the United States and Canada. To access this portion of this site utilize the search bar to the right or browse by either trim package or area in the far right sidebar. Before diving into this portion of the website however you may want to reference our used 2005 Jeep Wrangler Buying Guide below for tips on what to look for and what price you should be willing to pay from a private party. Purchasing a used Wrangler is unlike buying any other used vehicle because Jeep Wranglers are one of the most customized SUVs on the market. This is a goal for most Wrangler owners who modify them with both OEM Mopar parts along with various aftermarket manufacturer accessories. Typically modifications include lift-kits, oversized off-road tires, alloy wheels, performance upgrades, protection accessories along with a plethora of visual amenities including various tops, interior additions and lighting add-ons. 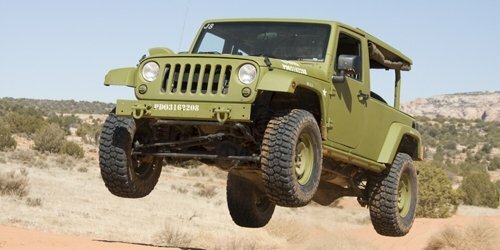 Because most Jeeps do not stay stock for long the valuation of each used Wrangler is unique. However that being said it is important to get a baseline of what to expect to pay for a stock 2005 Jeep Wrangler from which various modifications, customizations and add-ons can be evaluated for how they raise the vehicle value. Listed below are private party price ranges for the various trim packages of the 2005 Jeep Wrangler. They are listed in order of trim package value, lowest to highest. The various add-ons a Jeep owner has put on their Wrangler can change the price consumers are willing to pay with some heavily modified TJs and LJs bringing in much more than these values above. Additionally considerations must be taken when valuing these customization including age and usage of the component. 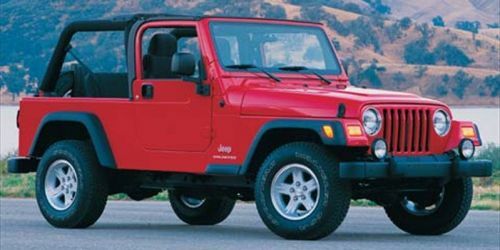 Because a primary use of Jeep Wranglers is for off-roading, it is important to understand how much the vehicle has been used “wheeled” before making a buying decision. While purchasing a Jeep Wrangler that has been put through the paces off-road is not necessarily a bad thing as they are built to withstand this kind of abuse, there are a few key thing to look for that will reveal just how much punishment the Jeep has taken. Listed below are the top 5 tips or things to look for when evaluating a Jeep’s off-road use. Look at the undercarriage – Jeeps that have seen rocky off-road terrains are likely to have dents, scratches and dings underneath including on the skid plates, differential covers, lower control arms and other suspension components. Look for brush pin striping – Wranglers that have been through narrow paths off-road will exhibit scratches from desert and forest trees and bushes both in the paint and especially in the vehicle trim. Look for dust and dirt – Vehicles that have been used off-road will have dust in hidden places that are very hard to clean. This includes within the engine compartment along with at the edges of trim and inside bumpers and other pieces of the frame. Look for tire wear – Like any used vehicle purchase tire wear is an important part of the valuation. For off-road vehicles looking for signs of abuse on the trail lies more in looking for nicks in the sidewall and for chunks of tread missing. These are signs of wheeling on rocks. Look for loose parts – Parts that tend to get loosened from heavy off-road use including the Jeep’s fender flares, and plastic cover parts around the rear and front bumpers. The looser these pieces are the more likely they have been under intense vibration or bending off-road.